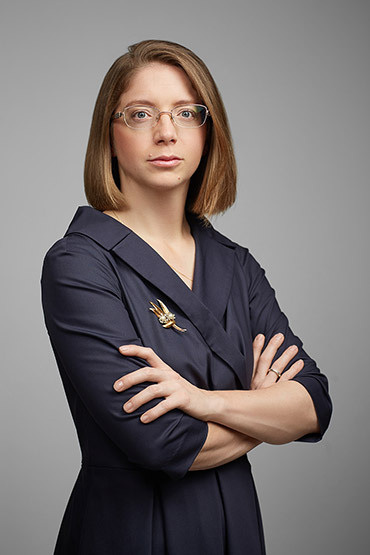 Avocat in Paris for nearly 10 years, Julie Losson has developed a recognized expertise in advising and representing clients in connection with international family law cases, especially those involving France and Russia. She has been a partner at Villard Cornec since 2009. To better assist families navigate through their increasingly difficult cross-border issues, Julie Losson set up an office in Moscow in 2012 (through the SELARL Julie Losson company, which is a corporate partner of the VILLARD CORNEC AARPI) and has been managing it ever since. She has also been acting as legal adviser to the French consulate in Moscow since 2012. Julie Losson’s practice is primarily focused on international family cases involving complex financial, migratory and tax issues. For instance, Julie Losson assists French nationals and foreign expatriates living in Moscow who are confronted with a divorce or a parental custody issue against a Russian national. She assists in the drafting of marital agreements involving foreign spouses, and of divorce and parental custody agreements between mixed couples. Lastly, she accompanies French and Russian nationals on succession and property law issues, as well as in adoption or child abduction cases. As such, she works alongside with the International cooperation Bureau of the Ministry of Justice and the Russian Central Authority of the Ministry of Education of the Russian Federation. Julie Losson is the only French lawyer listed as a foreign lawyer of the Russian Federation. As such, she is notably authorized to draft and produce affidavits and legal opinions regarding French law for the Russian courts.